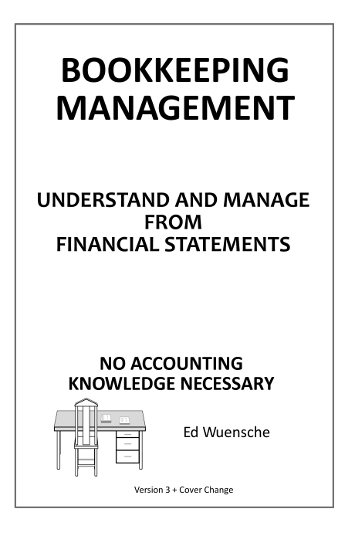 Bookkeeping Management by Ed Wuensche- Learn and Manage from Financial Statements. Sheet can be prepared monthly without being management oriented. Sheets to make decisions that turn the company into a very profitable one. the Income Statement and Balance Sheet.